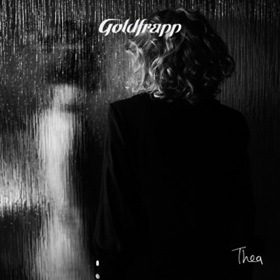 March 2014 is shaping up to be a very exciting month for Goldfrapp with their Tales of Us cinema event and the release of “Thea,” the latest single from Tales Of Us, on March 25th, 2014. “Thea” comes with a stellar remix package including brand new mixes by Twin Shadow, Blood Diamonds, WAWA and Red Top. Listen to a Twin Shadow remix of the track HERE. 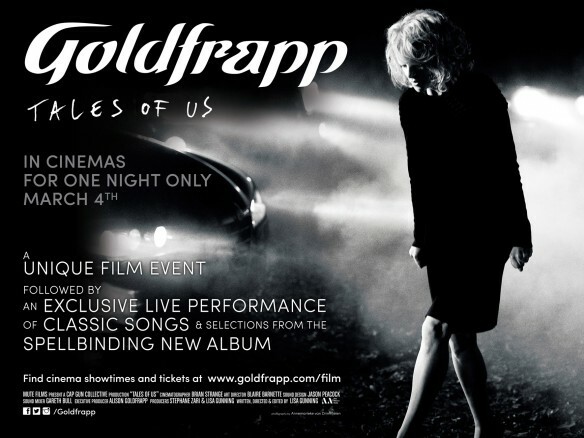 Goldfrapp recently announced details of a very special Tales Of Us cinema event – a worldwide screening of the stunning film Tales Of Us followed immediately by an exclusive dramatic live performance transmitted into cinemas from the magnificent surroundings of the legendary Air Studios in London. This must-see state-of-the-art experience will be broadcast by Arts Alliance Media across the UK, Europe, North America, Australia and New Zealand on the evening of March 4th, 2014. For the cinema event, to register your interest and see more information including locations of screenings and other exciting reveals in the coming weeks visit: http://po.st/GoldfrappFilm and the official Facebook and Twitter #TalesOfUsFilm channels. “We’re very excited to present a unique event, the Tales Of Us film alongside an intimate live performance, to our fans across the world. We’ve loved touring the Tales Of Us album and can’t wait to bring our live show to local cinemas”. The Tales Of Us film event precedes a UK tour, starting on March 26th at the Birmingham Symphony Hall and ending at the Gateshead Sage on April 7th. For a complete list of tour dates go here. The tour also includes a performance at the The Lowry in Salford, where Alison Goldfrapp curated her first ever art exhibition. This is the first exhibition within The Lowry’s new “Performer As Curator” series, and shows artwork Alison has selected from international collections. For more information, please the Lowry’s website.